Back out of my comfort zone this week with a seriously meaty dish. Bratwurst was a good choice for a few reasons. It’s a very Cincinnati dish, by way of Cincinnati being a very German town. I love my hometown so much I might even make goetta some day. Also, our local Earth Fare makes their own sausages, which somehow makes it more palatable to me. And finally, Damon loves it. Loves it loves it. I love sauerkraut. I love spicy, pickled things. This recipe, though, make my cabbage taste like a mouthful of vinegar. I added two liberal fistfulls of sugar and that brought it back to where I needed it to be. 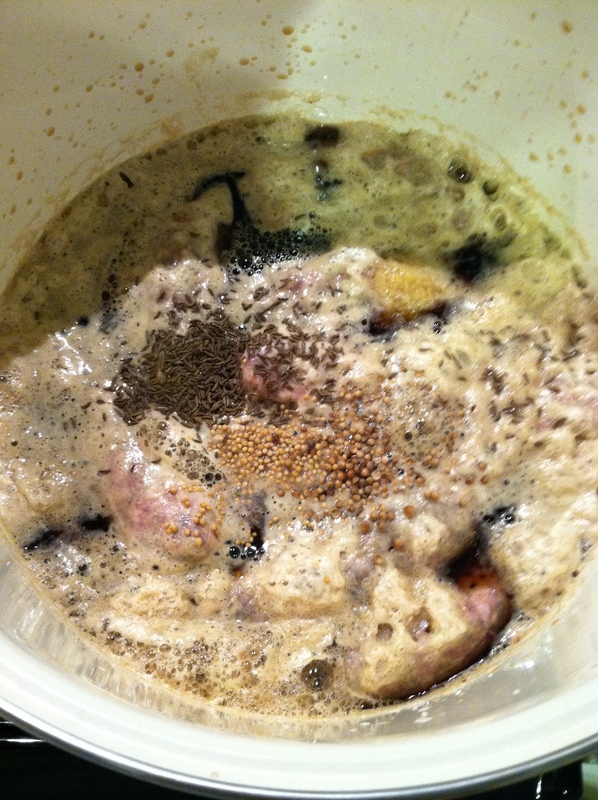 Not to self: Don’t marinate bratwurst in expensive beer. That’s not Bobby Flay’s fault. I just asked Damon to grab dark beer. 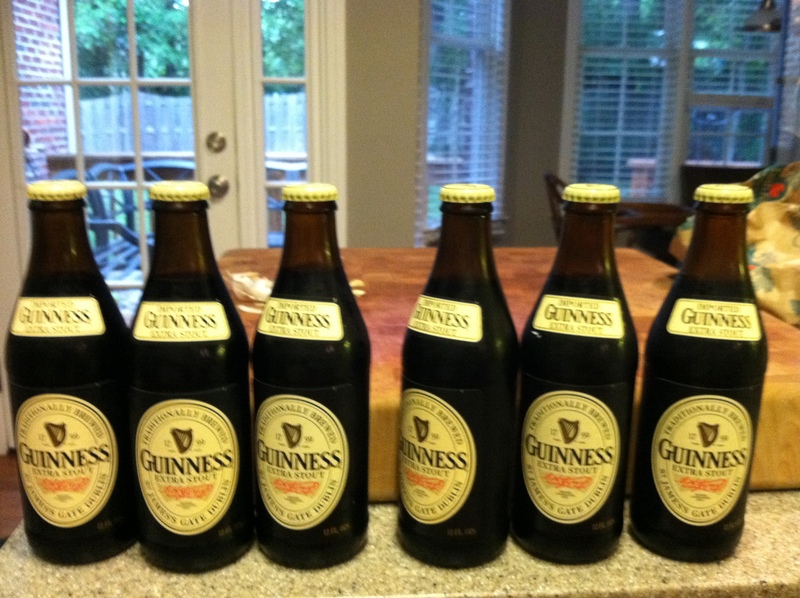 Of course he bought Guiness. I don’t think the beer flavor particularly came through. We could certainly have gotten there more cheaply. 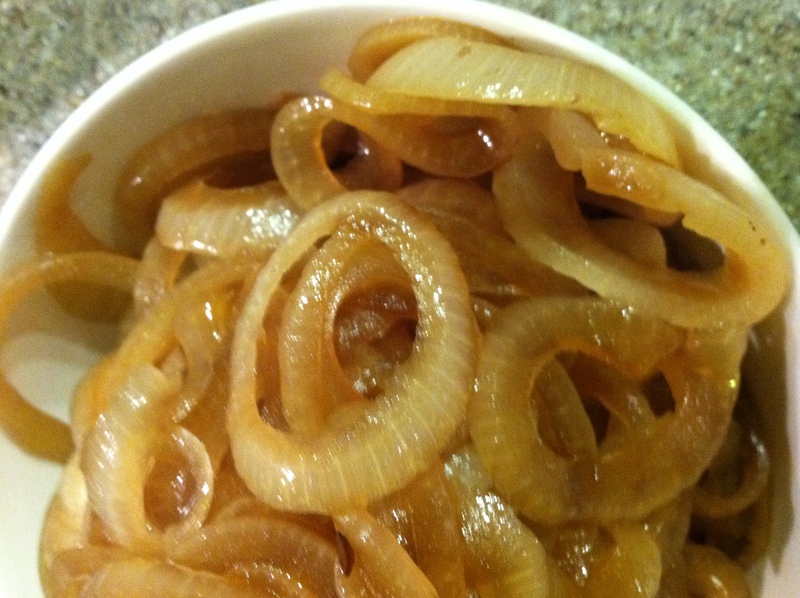 Also in the pot were these onions, which came out delish. 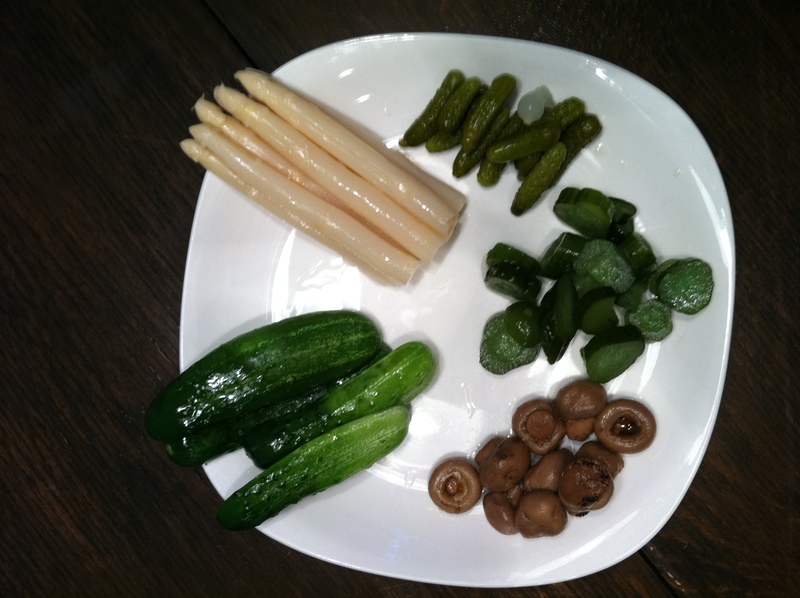 We served the whole mess with some pickled veggies. My biggest miss was the lack of potatoes. The meal needs something starchy. I found out too late, though, that our bag of potatoes had sprouted enough arms and legs to fight for its life. 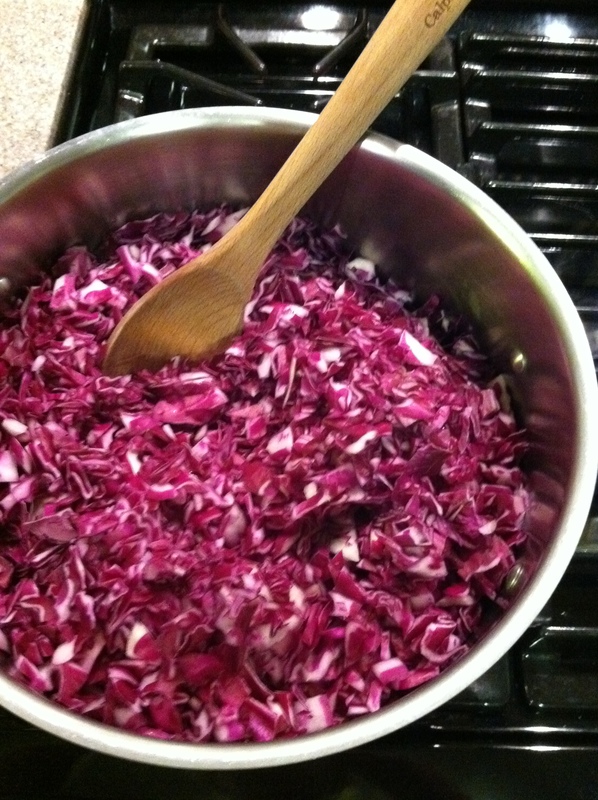 Recipe #4: Beer-Simmered Bratwurst with Onions and Red Cabbage Sauerkraut from FoodNetwork.com. Pretty good, although potent even for me. I might have preferred fresh tomato over sun-dried. I did take the olive mix, fresh tomatoes and romano cheese and pour it all over pasta the next day. Amazing!